Priyanka Gandhi will hold a press conference along with her brother Rahul Gandhi in Lucknow. New Delhi: Newly-appointed as Congress general secretary for Uttar Pradesh East, Priyanka Gandhi Vadra, is likely to begin her political career on February 4. An IANS report suggested that Rahul Gandhi and Priyanka Gandhi will take a holy dip in the Ganga at the Kumbh Mela on the same date. The sources have said that both brother and sister selected February 4 for the holy dip because of the holy occasion of “Mauni Amavasya” and the second “Shahi Snan”. But if they don’t get a chance to take a holy dip on February 4, they will opt for February 10 on the occasion of Basant Panchami and the 3rd ‘Shahi Snan”, the source told to IANS. This is perhaps the first time the two Gandhis will take a dip at the Sangam, where the Ganga and Yamuna meet the mythical Saraswati. Ahead of the Lok Sabha elections, she has been tasked to match the charisma of Prime Minister Narendra Modi and UP Chief Minister Yogi Adityanath. On Priyanka’s entry into active politics, Rahul had said, “I am very happy that my sister Priyanka will assist me in Uttar Pradesh in the Lok Sabha polls. She is very capable.” The state responsibility has been equally divided between Scindia and Priyanka. 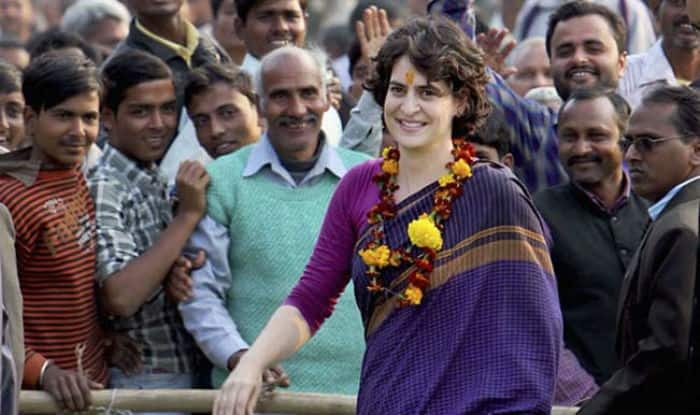 However, BJP had termed Priyanka’s entry into active politics as an admission by the Congress that its president Rahul Gandhi has “failed” in providing leadership and said he has opted for family “crutches” after facing rejection from other opposition parties.